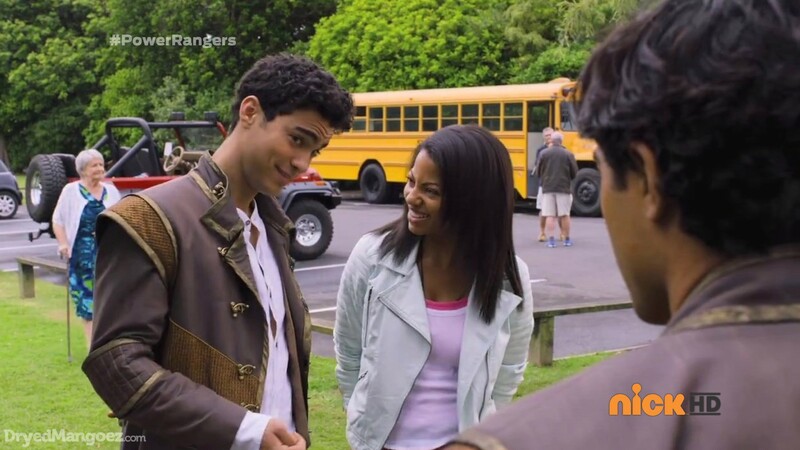 Recap: Power Rangers Dino Charge, Episode 13 – "I'll fart when I want to!" Wrench has just finished up a nice little bomb. Sledge tells him to take Smokescreen with him to hide it where it can kill the Rangers, but Wrench says he can do it himself. Smokescreen demonstrates that he can fart emit a smelly fog that can hide them from view. Wrench does not care for Smokescreen thinking he’s boss, but they head down together anyway as Sledge barks that Smokescreen will be free if he can get an Energem. At the museum, Kendall is excited and nervous about Fossil Fun Day and wants to make sure it’s a great event for the kids. The Rangers are helping load the truck with the supplies. Tyler shows Shelby his awesome new coat. Shelby thinks it’s horrible, even though she said it was great when they saw it at the mall. A kid comes up to compliment Tyler on his jeep. But that’s nothing compared to Ivan’s horse. Ivan, in full armor, comes riding up on his horse with everyone in awe. That includes Shelby who says he looks like he came out of a romance novel. While everyone except Tyler is falling for Ivan, Wrench and Smokescreen decide to place the bomb in Tyler’s truck. Smokescreen prepares to fart, but Wrench tells him not to since that’ll make them more obvious. Wrench puts the bomb in the back of Tyler’s jeep. Kendall comes out of the museum with Riley and tells the people to head inside instead of gawking at the knight. She tells the Rangers they should probably buy some normal clothes for him, so Shelby volunteers to take him shopping. Shelby hops up on the horse and Ivan tells Tyler to just take everyone else on his “motorized buggy” to the park. But as the buggy drives away, Wrench and Smokescreen realize neither of them set the timer on the bomb. Fossil Fun Day is in full swing at the park. Chase and Riley are in charge of food, Kendall is with some bratty kid and Koda is lugging around huge bones. Tyler is at the entrance to the event, which someone inexplicably placed right at a mudpit, when Shelby and Ivan arrive. Ivan is now in “normal” clothes. That is, he’s wearing the exact same awesome coat as Tyler which Shelby now thinks is the best coat evah. An older lady arrives to the event and Tyler asks Ivan to help her in. Ivan takes his awesome coat and places it over the mud, allowing the lady and all the newly arrived guests to cross the huge mud pit without getting dirty. Meanwhile, Wrench and Smokescreen see their chance to set the timer on the bomb. Smokescreen farts and the smelly red fog fills the park. The Rangers go check out where it’s coming from and find Wrench and Smokescreen by Tyler’s buggy. Smokescreen farts some more, allowing him and Wrench to get away. Ivan and Tyler run into the fart to grab them before they leave. But Ivan instead has Tyler pinned to the ground and has ripped the sleeve off the coat. The two continue butting heads, but the others spot Wrench and Smokescreen and hurry after them. Wrench knocks Smokescreen over and leaves him behind as he hops into the pod and flies back to the ship. The Rangers arrive and morph. After a roll call, the Rangers fight off the just arrived Vivix. Tyler and Ivan take on Smokescreen and continue to try one-upping each other. But when that doesn’t get them anywhere against Smokescreen, they decide to work together. Tyler says he can’t beat armor and a horse. Ivan agrees that he is indeed the “whole package,” but he too can’t compare to Tyler being THE Red Ranger. The Rangers all get back together and Smokescreen lets slip that there’s a bomb at the park. The Rangers decide that’s not important right now, so they instead deliver a Final Strike and stand around in front of an explosion first. They turn their attention back to the bomb. Shelby calls Kendall, but she’s busy with the fidgety kids. Sledge embiggens Smokescreen. Tyler says he’ll hop into the Megazord while “the rest of you” take care of the bomb. The Rangers wait around while the Megazord combines and Tyler gives them the go signal to leave for the park. Ivan gets an idea. He hops into the Pterazord and they combine into a Tri-Stego-Ptera Formation. At the park, the Rangers find the bomb. Sledge sees them and Wrench suggests they embiggen the bomb so the Rangers can’t move it. Sledge laughs since now instead of just half the city, the entire city will blow up! Chase suggests they evacuate everyone as there’s less than 2 minutes left. Tyler and Ivan finish off Smokescreen for good and they’ve got another idea. They hurry to the park, grab the bomb and take it into space. They head straight for Sledge’s ship and hurl the bomb back at them. It explodes and causes a little bit of damage while throwing everyone around the bridge. Back at the museum cafe, Tyler joins the others and he has a gift. Shelby thinks it’s for her. Ivan comes out of the kitchen with their food. He has a tunadactyl melt for… Tyler. Sorry Chase. And Tyler presents his gift to… Ivan. Sorry Shelby. Ivan opens the gift and it is the awesome coat. He suggests he and Tyler take a self-portrait. 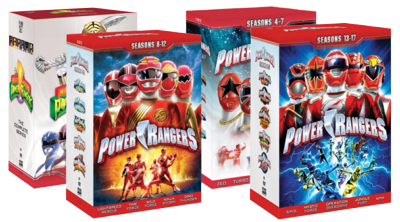 So, first of all, Happy 800th Episode to Power Rangers. Definitely a great milestone and accomplishment. But did y’all see the hype they were doing for it? They were sending media outlets #PR800 swag and gifts and stuff. Like, I don’t even think they did that for the 20th anniversary? Plus they sent out clips and press releases to the media outlets to promote the episode. While woohoo to promo for the show, the hype made it seem like this episode was something huge or special, story wise. But really, it was just a normal, filler episode. And also, it gave those casual fans another opportunity to proclaim their love for Mighty Morphin and hate for anything not. Anyway, speaking of filler episodes. This certainly was one. It was okay. If not a little awkward. The Tyler-Ivan rivalry and Shelby suddenly fawning over Ivan after crushin’ on Tyler this whole time was kinda haphazardly thrown together. I mean, Ivan has been shown to be merely oblivious to the world in 2015. (Even though they already had Koda to fill that role on the show.) So this peeing match between Tyler and Ivan is almost unnecessary. Or at least, it just came out of nowhere even though they could’ve easily developed it into a good rivalry episode. It also puts Shelby in kind of a bad light since she’s been shown to drop Tyler like a hot potato and jump, literally, at a chance to hang out with Ivan. For this episode, I actually enjoyed Wrench and Smokescreen and the fart jokes much more than anything else. Also, Kendall’s random encounters with kids. Also, Wrench being doubted by Sledge would be an interesting angle to explore. Though I don’t know if that will be a continuing plot or just for this episode. And sorry Tyler and Ivan, only the guys of It’s Always Sunny in Philadelphia can rock a coat like that. Anyway, I think this was subpar episode for Dino Charge and certainly not really worthy of all the hype this week, despite the milestone. Oh well. 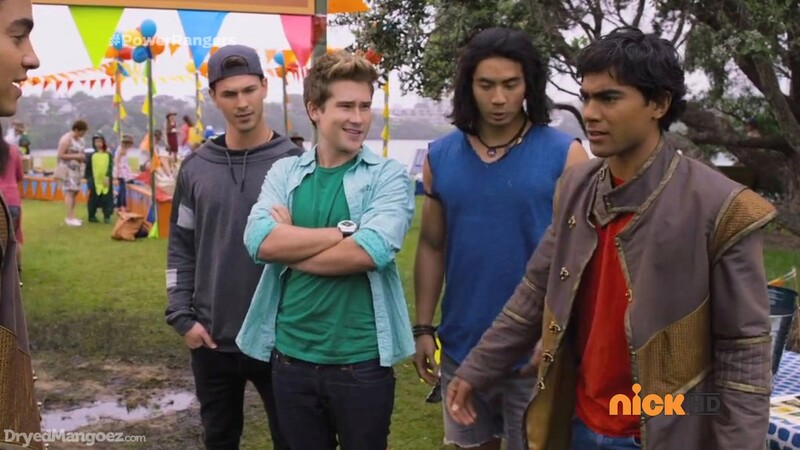 So Dino Charge took the monster from Brave 12 and the bomb from Brave 14 and combined it into this episode. 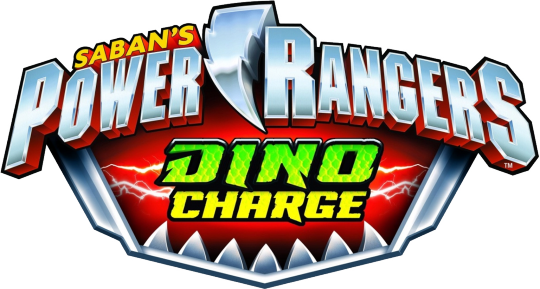 I was surprised when I re-watched Brave 12 and found the farting was an original Dino Charge concept! I know there were plenty of fart jokes on Kyoryuger. (They have a zord that farts, for goodness sakes. 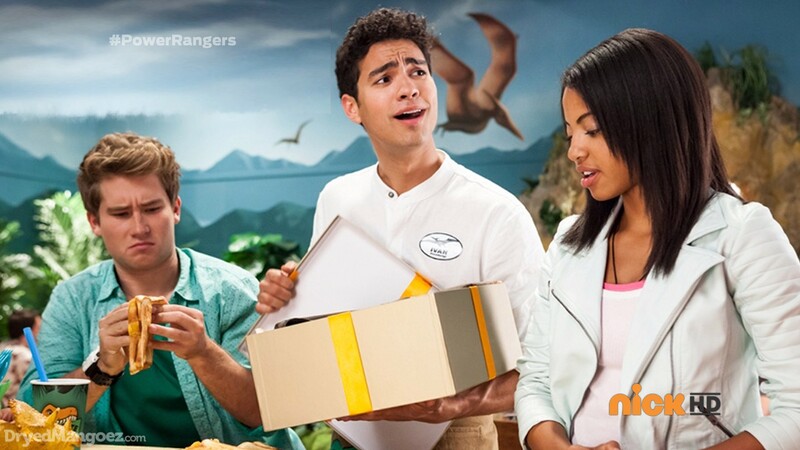 lol) But I’m really surprised Dino Charge decided to go with the fart jokes. I guess Tyler and Ivan’s mini-rivalry is taken from Daigo and Uttchi’s little misunderstanding in Kyoryuger. But even there, it wasn’t a big deal. And it was really more on Uttchi, for some reason, wanting to keep a hard, strict image (with Amy helping him) and the other guys not understanding why he’s so standoffish. 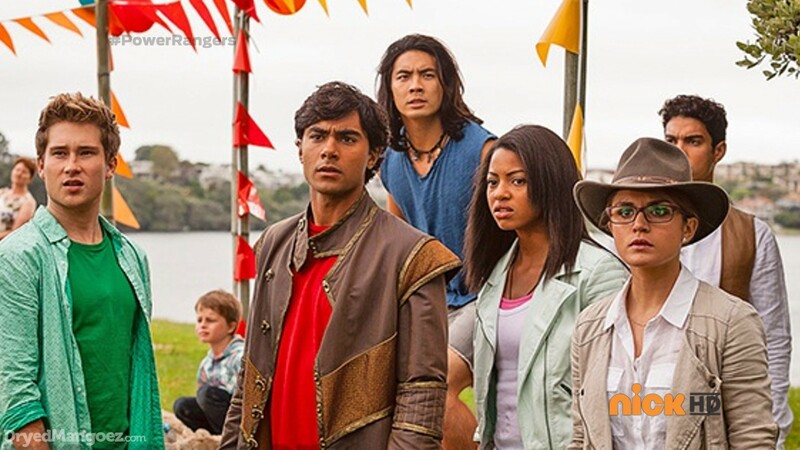 It didn’t make sense in Kyoryuger and it didn’t really make sense on Dino Charge. So in comparison, I’d say both weren’t particularly that good. 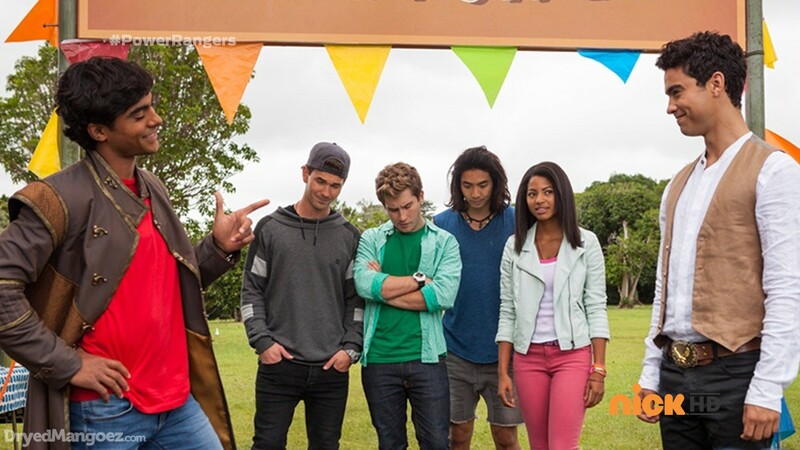 But overall, Dino Charge 13 was a passable filler episode. ← Recap: The Amazing Race 27, Episode 2 – "It's a million dollars! I'll buy you new feet!" This was a cool episode. There was some awesome original concepts, like the bad guys firing the Magna Beam on the bomb. And of course my favorite part: ORIGINAL MEGAZORD FOOTAGE!!! Man, I think the last time I saw one of those was in the finale of Lightspeed Rescue. It’s interesting that we’re celebrating 800th episode with a season that was adapted from one of the worst sentai series (Kyoryuger) I have ever seen. If Saban didn’t skip a season, we would have had Go-busters this year, which would have been interesting, since that show had lot of Power Rangers reference. It’s also interesting that there was more hype to 800th episode than 20th anniversary. Despite all the hype, I thought this episode was good. It wasn’t great or served much purpose to overall story, since it was filler, it was far more watchable than any filler episodes of Kyoryuger or recent episode of Ninninger (32) IMO. I like Ivan’s new outfit, which is going to be permanent for rest of the season. It suits him very well. I also like Kendall’s Indy hat. It suits her very well. There’s no contest (take that Sanjo!). I really liked the Tyler/Ivan rivalry. It’s been a while I’ve seen rivalry that was handled this well in franchise. It’s nice that they realized the importance of team work and got along at the end. It’s far more convincing and better than King/Utchy relation. See that Sanjo? This is how you handle character’s rivalry/relationship. I lol’d at fart joke! Another one since episode 8, but this time it is original setting, since MOTW from Kyoryuger didn’t have that ability. See that Sanjo? That’s how you do fart joke correctly!! This maybe minor, but it was interesting to see Red Ranger fell in cockpit. I’ve mentioned in Episode 10 review that armor/power-up in no-seat/standing cockpit, allows you to protect from falling and this episode pretty much justified its purpose. It was nice to original zord footage (flying), even briefly. Overall, not a great episode, but it was very decent for 800th. Happy 800th episode of Power Rangers!! Looking forward to see another mile stone of 900 and 1,000!!! I guess I forgot this was the 800th episode of Power Rangers. Happy 800th, Power Rangers! I thought this episode was fine. I personally thought the Tyler/Ivan rivalry was amusing. It’s certainly not the first time Power Rangers has done a rivalry episode. Wrench and Smokescreen were awesome. LOVED their back and forth conversations. Also, I thought it was clever of Sledge to grow to the bomb so it couldn’t be so easily moved, but even more clever of Tyler and Ivan to throw it right back at them! Points for taking initiative! Tyler: (upon seeing Ivan riding on a horse in knight armor) You have GOT to be kidding. Loved his reaction. The way he says it and the look on his face really sold it for me. Tyler: Fine? But you said it looked great. Shelby: It DID…… on the mannequin. I agree that this episode shouldn’t have been hyped so much. Episode milestone is one thing. Episode quality/season progression is another. Quality/season progression>milestone, guys. I don’t know, I could have done without the fart jokes myself. Chip, I love you and I love what you’ve done this season, but could you try to lay off the fart jokes, please? Thank you! Look forward to the next episode, but the one I myself am looking forward to is the one in two weeks, where we are supposed to be introduced to the Graphite Ranger. From the synopsis I’ve read about it, and from the way this season (99% of the time) has been written, I can’t wait to see how it plays out. Also, love the Koda photobomb at the end. And “feigned duck face”. That should be interesting as I haven’t reached that far in Kyoryuger (and I don’t think i will before then) so I will have no idea what even comes with the Graphite Ranger. Should be exciting!